National Tyres Croydon are excellent. They are very supportive and appreciative of our urgency in tyre requirements, due to the nature of our business. They have saved us in sticky situations and would recommend them to everyone. When I arrived the guy was very helpful and dealt with me quickly. This is my first visit to National Tyre. I called Depo 740 , Purley Way , Croydon few days ago for a quote , spoke to manager Jason. 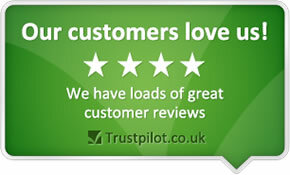 I was very impressed wih the way he dealt with my query, he was very polite and helpful. The next day I called to see if the parts has arrived, spoke to Sam & Russel they were also very friendly, polite & Proffesonal. I usually use Kwickfit and always received very poor service. I would definitely recommend family & friends to National Tyre. Please pass my sincere thanks to all the team at Purley Way , Croydon for their excellent service. I think they all deserves commendation and rewards for their excellent service. They were understaffed when I called & I made an appt for the next day they were still short of staff. fair play they still sorted my brakes with no fuss Thanks Mr.M I even offered a tip to which (I think was a MOT fitter)said no need glad we could sort it. Excellent, professional service. Very helpful staff. friendly, helpful staff. nothing too much trouble. excellent service and professional staff. Friendly and approachable. Excellent facilities. EXTREMELY FRIENDLY, HELPFUL AN KNOWLEDGEABLE PEOPLE. PLEASURE TO DEAL WITH.